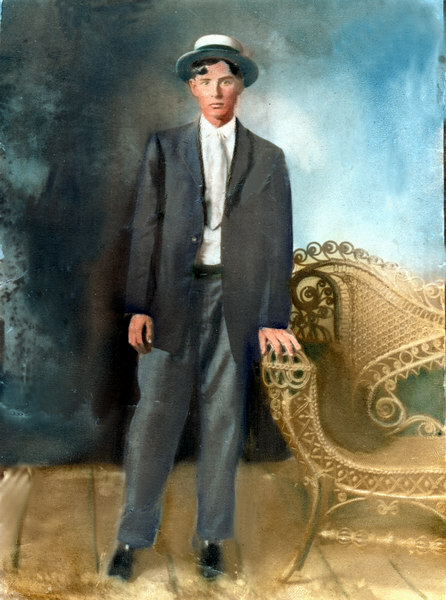 James Carter McKinnon, born 14 July 1889, died 28 September 1967, married Bessie Marie Avera, daughter of Webster Daniel and Martha "Mattie" King Avera on 14 May 1911. James Carter McKinnon was named for Dr. James Carter, and was the son of Reddick Charles and Carrie Ann Jane Goodman McKinnon. He painted the Honor Roll of names of World War II Soldiers on the McLamb Building.